A new report by the Amnesty International (AI) has alleged that the Nigerian authorities’ failure to investigate communal clashes and bring perpetrators to justice have fuelled a bloody escalation in the conflict between farmers and herders across the country, resulting in at least 3,641 deaths in the past three years and the displacement of thousands of people. The presidency has, however, expressed concern about the report just as the Nigerian Army has called for the closure of the offices of the rights group in Nigeria, accusing the group of plotting to destabilise the country. In the report, ‘Harvest of Death: Three Years of Bloody Clashes Between Farmers and Herders,’ which was released yesterday, Amnesty International found that 57 per cent of the 3,641 recorded deaths occurred in 2018. 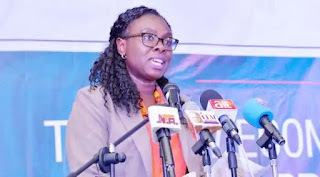 According to the Director of Amnesty International Nigeria, Osai Ojigho, “The Nigerian government has displayed what can only be described as gross incompetence and has failed in its duty to protect the lives of its population and end the intensifying conflict between herders and farmers. The authorities’ lethargy has allowed impunity to flourish and the killings to spread to many parts of the country, inflicting greater suffering on communities who already live in constant fear of the next attack. The human rights watchdog said it started documenting clashes between farmers and herders from January 2016, adding that between August 2017 and September 2018, researchers conducted 10 field trips to 56 villages in five states. The group said its report was based on 262 interviews with victims, eyewitnesses, community leaders, medical practitioners, religious leaders and government officials, including members of the security forces. It also added that its researchers also analysed 230 documents, including medical records and reports by the security forces. “The root cause of this conflict has nothing to do with religion or ethnicity; it is largely about land and access to grazing. But in some places, because of the failures of the security forces, competition over resources is used as a pretext to kill and maim along ethnic or religious lines. The conflict has also been dangerously politicised by some state government officials who have inflamed tensions by embarking on a blame game along political party lines,” said Osai Ojigho. At least 310 attacks were recorded between 5 January 2016 and 5 October 2018. The attacks were most frequent in Adamawa, Benue, Kaduna, Taraba and Plateau States. Other parts of the country including Enugu, Ondo, Oyo, Delta and Edo States also recorded attacks. Amnesty International researchers uncovered a pattern of appalling killings by both farmers and herders across Adamawa, Benue, Taraba, Kaduna and Plateau States. On June 17, 2017 one of the deadliest attacks on Fulani communities in Taraba State began. It lasted four days with dozens of dead bodies found in the bush afterwards. In the Guma and Logo Local Government Areas of Benue State, villagers began 2018 under attack by armed gangs, who arrived in the early hours of January 1. The attack, which went on for 11 days, resulted in at least 88 deaths, although the state government was only able to bury 73 bodies. The federal government is increasingly concerned about the role Amnesty International is playing in the war against terror in Nigeria, a statement by presidential spokesman, Malam Garba Shehu, said yesterday in Abuja, adding that while President Muhammadu Buhari cherishes and encourages the noble ideals on which institutions like Amnesty International are founded, the organisation’s operations in Nigeria seem geared towards damaging the morale of the Nigerian military. Shehu said it often appeared as if the Nigerian government was fighting two wars on terror: against Boko Haram and against Amnesty International. Meanwhile the Nigerian Army has accused Amnesty International of plotting to destabilise the country. A statement signed by army’s spokesman, Brigadier General Sani Usman said, “The Nigerian branch of Amnesty International that has hitherto been well respected has deviated from the core values, principles and objectives of the original Amnesty International domiciled in the United Kingdom. “There is credible information that the Nigerian branch of the international non-governmental organisation is determined to destabilise the Nigerian nation. The army stated further, “They have tried over the years using Boko Haram terrorists’ conflicts, Islamic Movement in Nigeria, some activists and now herders-farmers conflicts.